This morning at the Delaware Valley Regional Planning Commission Board meeting, we learned that our advocacy to secure more dedicated funding for Circuit Trails in New Jersey is beginning to bear fruit. Along with other members of the Circuit Coalition, the Bicycle Coalition has been advocating for the counties to expend some of their own funding to leverage the $17 million that has been provided by the William Penn Foundation over the past seven years. 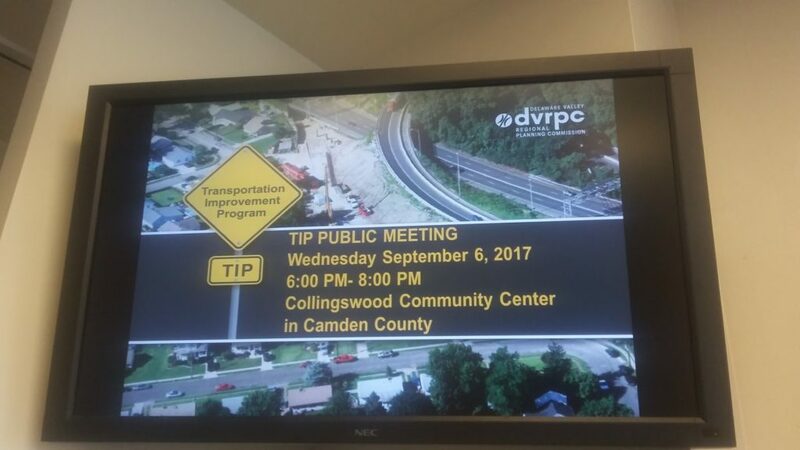 Today, DVRPC announced that in the soon-to-be-released Draft FY18 TIP for the four New Jersey counties, there would be a proposal to set aside $1 million for Circuit Trails. While this proposal is a good start, it is not yet enough to close the gap that exists for the ten segments of Circuit Trails that do not have enough funding for construction or truly advance the Circuit to have 500 miles complete by 2025. This goal has been ratified by 19 different townships and Camden County in resolutions passed during 2017. Stay tuned! When the draft TIP comes out for public comment in mid-August, we will inform our members and supporters how to lend their voice to ask DVRPC to do more to complete new miles of Circuit Trails.